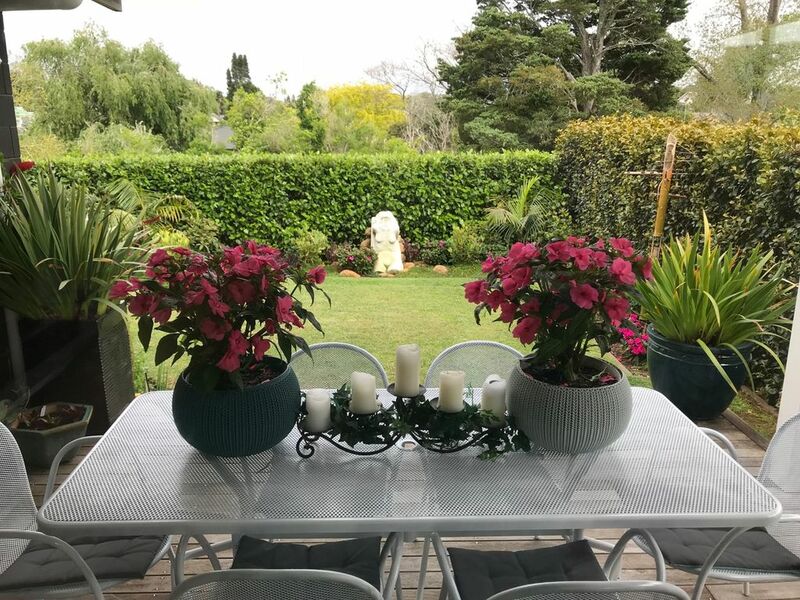 Less than one kilometre from the centre of Kerikeri, Orchard Retreat is situated within a secure gated community, with landscaped grounds and a communal swimming pool and bbq area for your use. Use this property as your base to explore the local cafes, Farmers Market, historical sights and the beautiful Bay of Islands. Paihia and Waitangi are an easy twenty minute drive away where you can take a ferry to Russell or discover one of the many beautiful local beaches. Don't miss the famous Kerikeri Packhouse Market on a Saturday morning or a visit to the Historic Stone Store and Kemp House. Orchard Retreat is on the doorstep of the recently opened, beautiful, 40 min Wairoa Stream Walkway (moderate fitness required), through bush and past the Te Wairere Waterfall and then on to the Old Stone Store. Treat yourself to a coffee or ice cream at the Honey Pot Cafe and for those who wish for more, continue on up the Rainbow Falls track from here . Kerikeri has a strong artisan community with various studios and galleries to peruse. Orchard Retreat is an almost new three bedroom, two bathroom house with internal garaging and an open plan living area, which flows out to landscaped grounds and covered decking for alfresco dining in all weather. Beautifully decorated, with a pasifka/asian flavour - this house is designed for relaxation and comfort. Suitable to sleep a max of six people, the beds are comfortable and made up with top quality linen. Walking distance to Kerikeri township makes Orchard Retreat the most convenient choice for your Bay of Islands holiday. Beautiful house set in a gated community. Lovely to have a pool on site too. Fantastic home from home! Beautiful gated community, lovely pool and pavilion area and the property is gorgeous. Perfectly situated for a Bay of Islands holiday. Lovely new house, lovely decor and garden, very neat, tidy and organised on arrival and first inspection but, unfortunately, after a few hours we noticed, disappointingly, that the house and its appliances could have used a thorough spring clean before renting out. The children's metal framed beds in the middle room are also a tad too short for even average height adults to sleep comfortably, so cannot recommend this house for 6 adults to use. So sorry, only three stars. Beautiful home, comfortable and restful. Beautiful home, comfortable and restful. Fitted description completely. Would recommend highly. We'd be delighted to book again.